For a king who plans to fight on the front lines with his troops, a powerful yet noble weapon is needed. This LARP King Sword - 110 cm is a blade that fills that void nicely, offering a fine look and a powerful design for any warrior to wield. 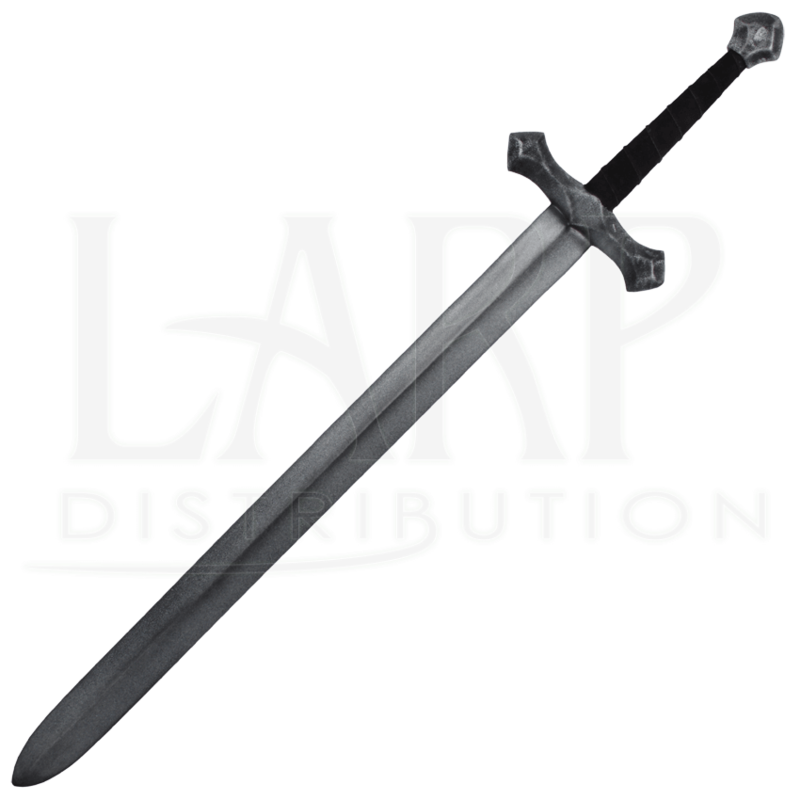 This LARP sword offers a double-edged blade that is longer than our previous model, adding reach to any warriors offense. The arming sword also features a diamond-shaped crossguard that matches the pommel for an extra touch of royal appeal. The sword is made with a fiberglass core and foam latex that is sealed with silicone for enhanced durability. The hilt and pommel comes in gold, silver, or bronze. Handle colors will either be black or brown suede. We will send what is available. This LARP King Sword - 110 cm is a handmade LARP weapon so its measurements can vary slightly from what is shown below. Latex weapons do need to be maintained to a certain degree. 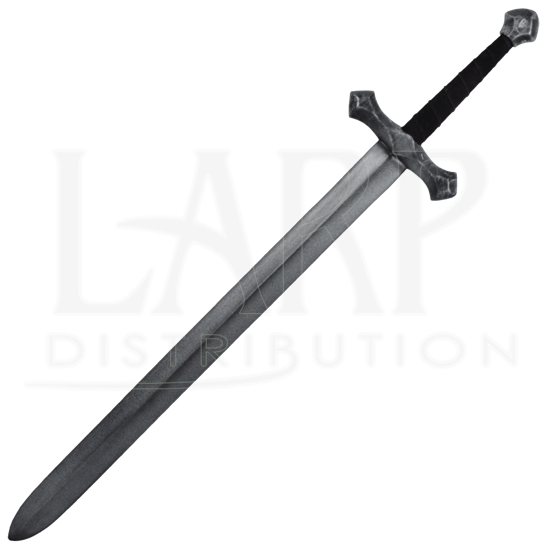 We offer a Maintenance Silicone (MCI-2000) that can be purchased separately in the LARP Accessories section. We recommend you use the Silicone on a regular basis. It has an easy, spray on application. The silicone will keep the coating flexible and make the weapons last much longer. The maintenance silicone protects the coating from drying out and helps the weapon resist wear and tear.